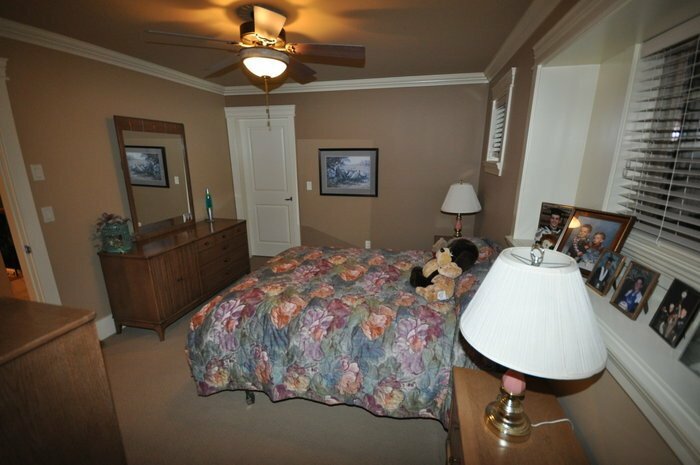 Fleetwood Estates. 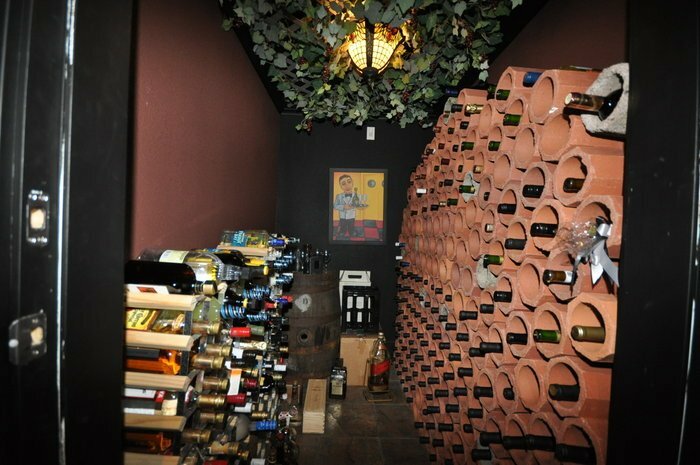 5000 sq. 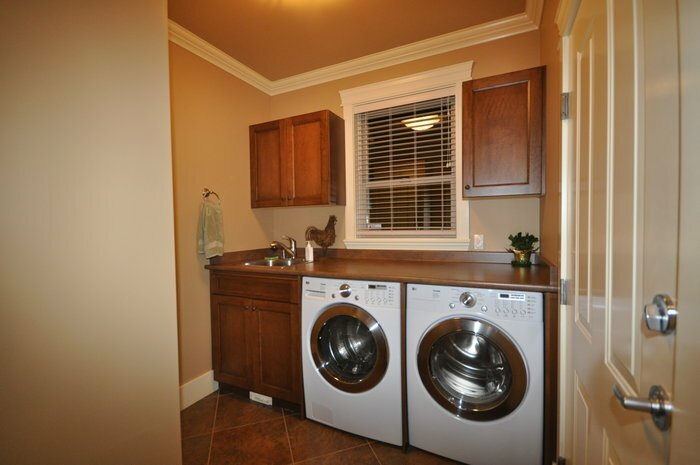 ft. of luxury finishing. 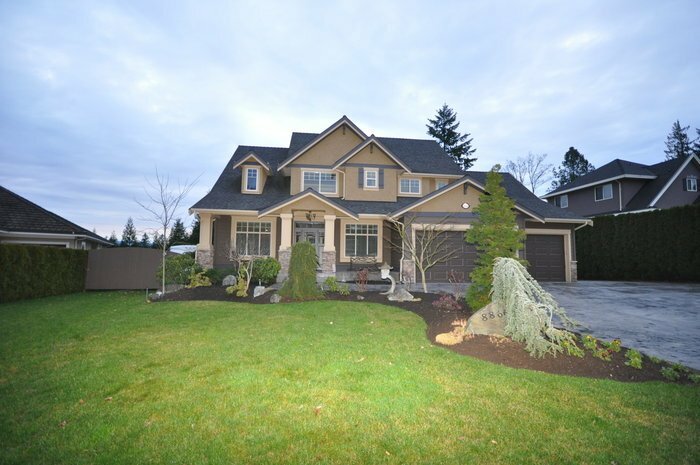 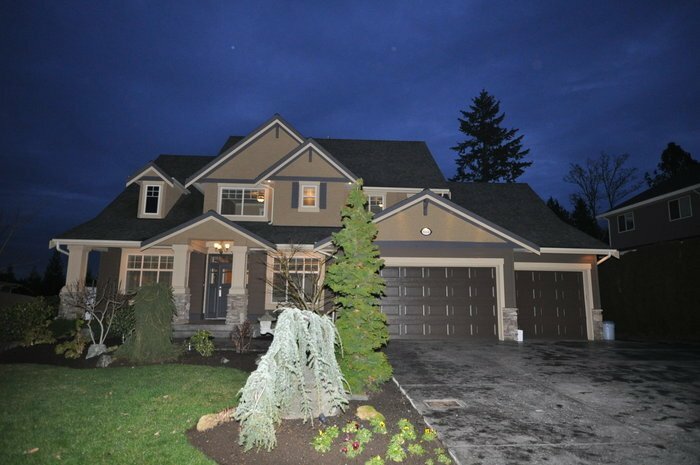 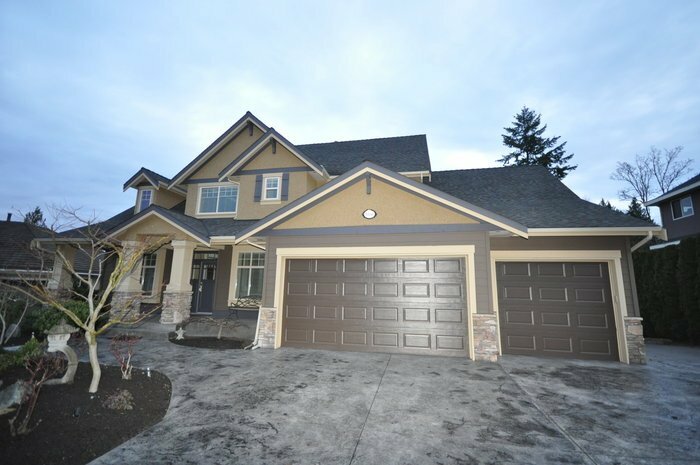 Triple garage on the house plus an oversized triple garage out back with guest suite above. 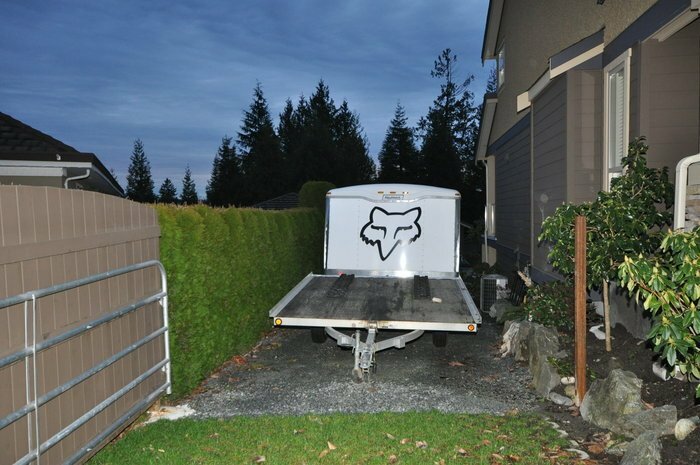 There is RV parking on the North side of the home which will hold the longest rig available. 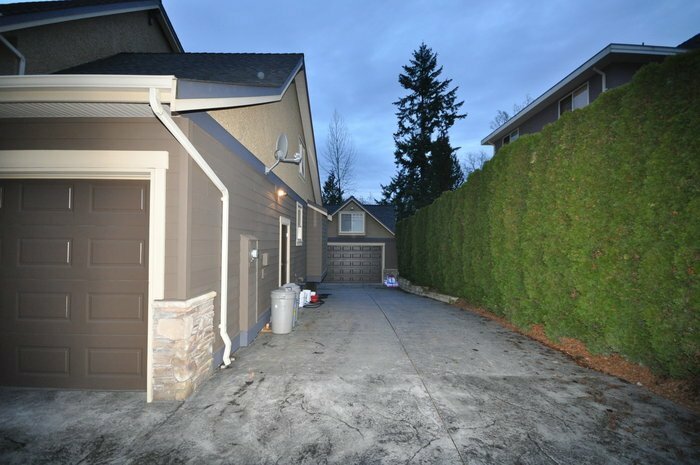 There is Hardy Board and Pail Slop stucco on the exterior of the home. 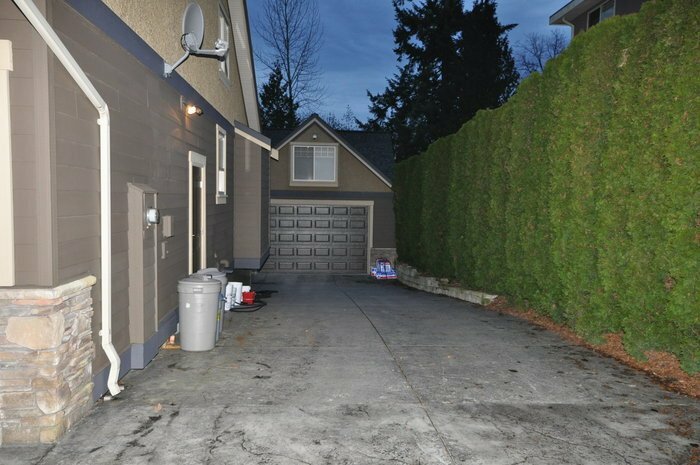 The driveways are stamped concrete. 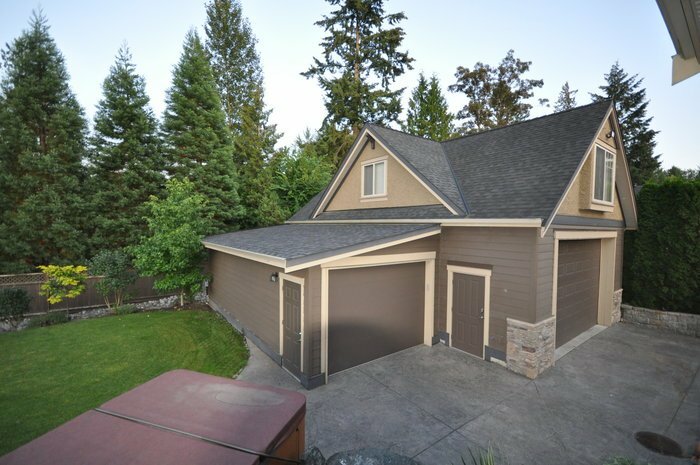 It has a 30 year fiberglass laminate roof. 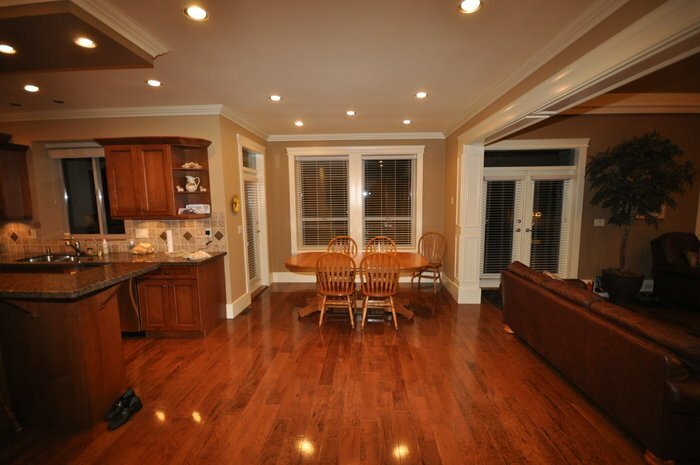 Most of main floor has Hickory Hardwood floors. 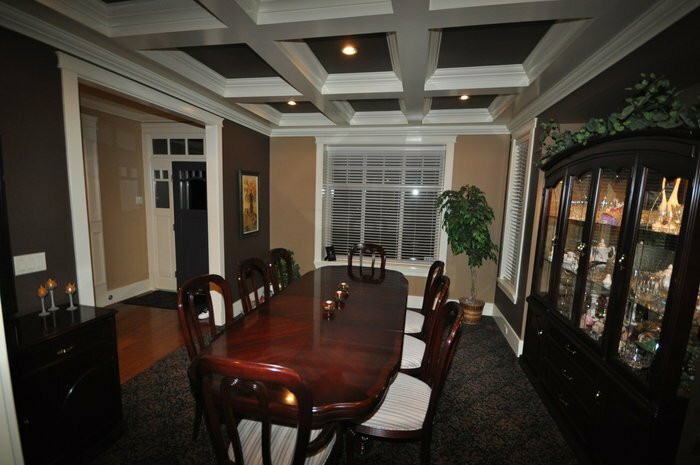 There is over 1000 feet of crown moldings in the home and shop. 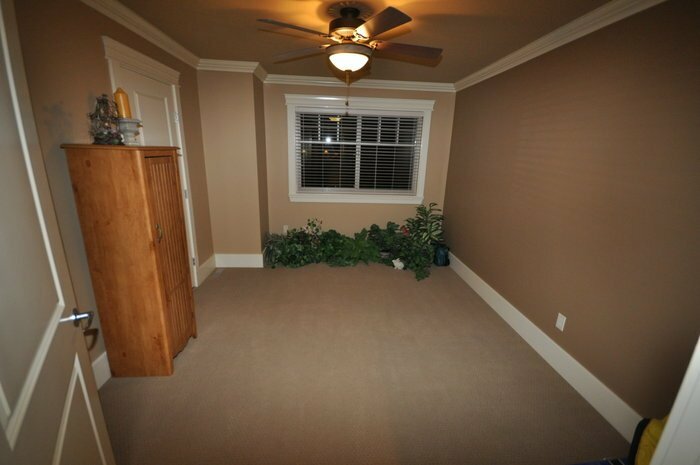 Even the walk in closets and both garages have crown moldings. 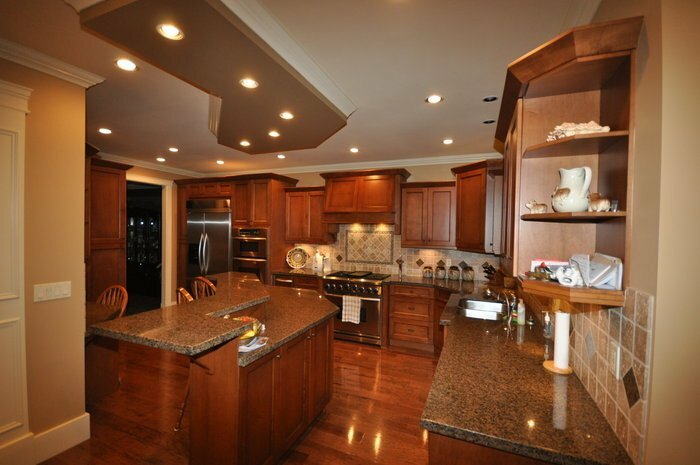 The kitchen is amazing with maple cabinets, lots of pantry space, huge centre island, and an oversized eating area. 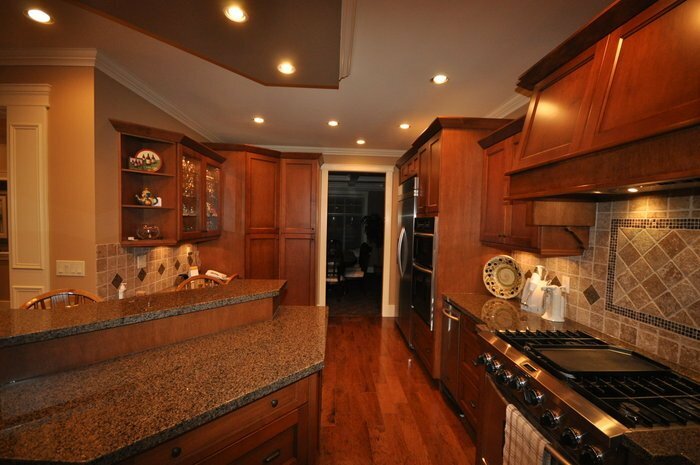 It also features granite counters, a 42 inch stainless side by side fridge, a 6 burner 36 inch stove, and 2 ovens. 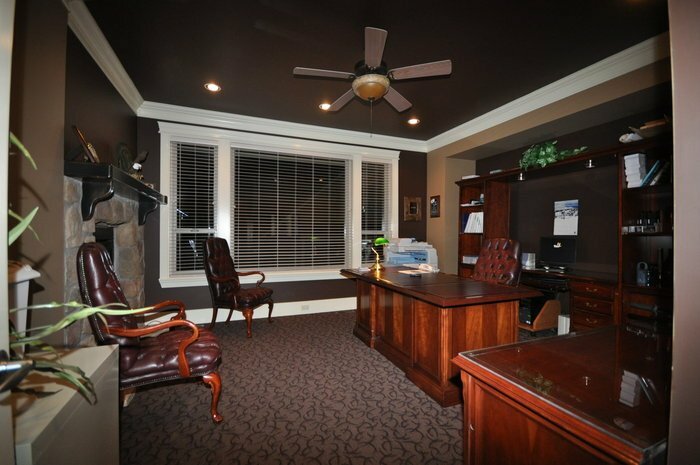 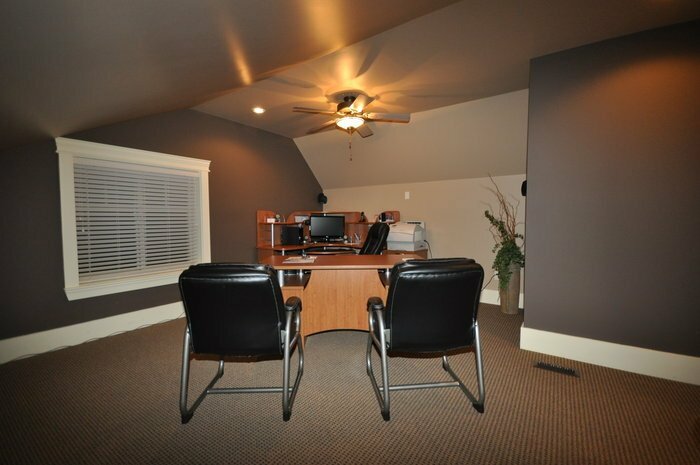 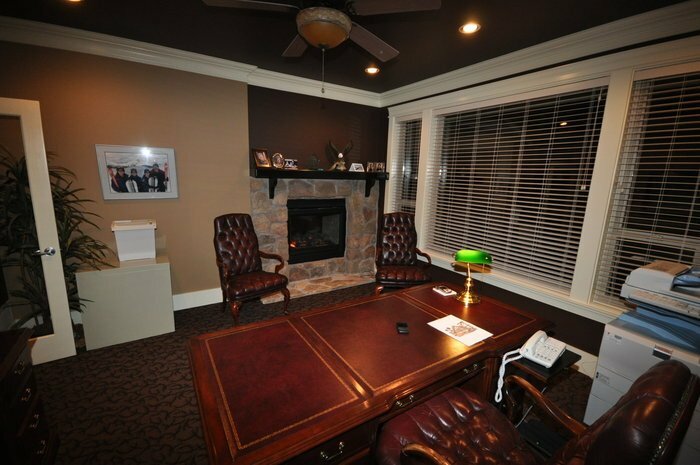 The home office is huge and is a must see. 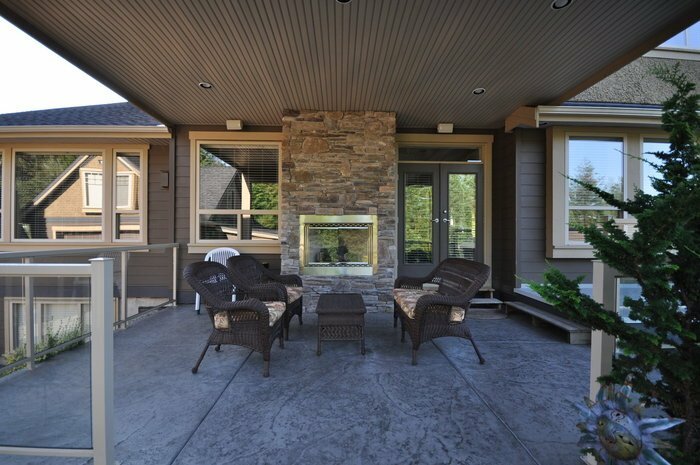 There are fireplaces in the living room, family room, den, master bedroom, ensuite, rec room,and outside under the covored deck. 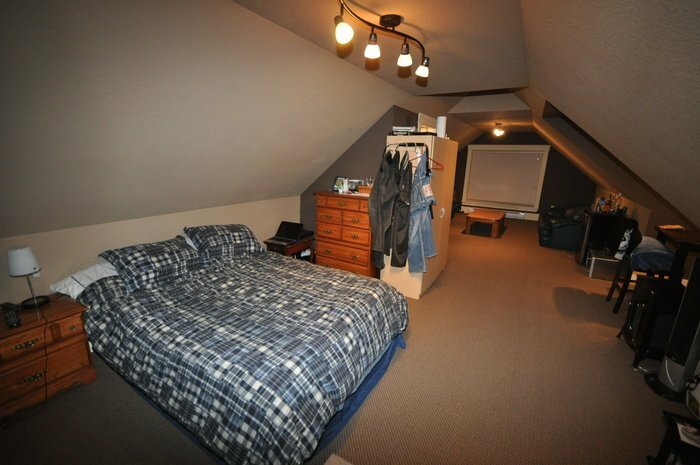 Upstairs are 3 bedrooms and a games room which is being used as a second home office. 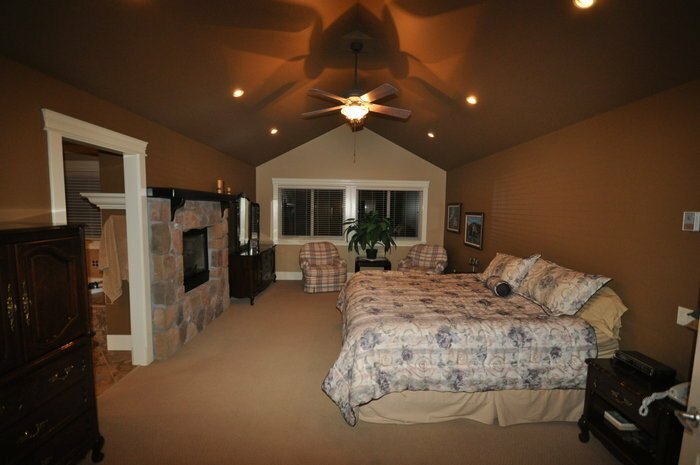 All of the bedrooms have ensuites. 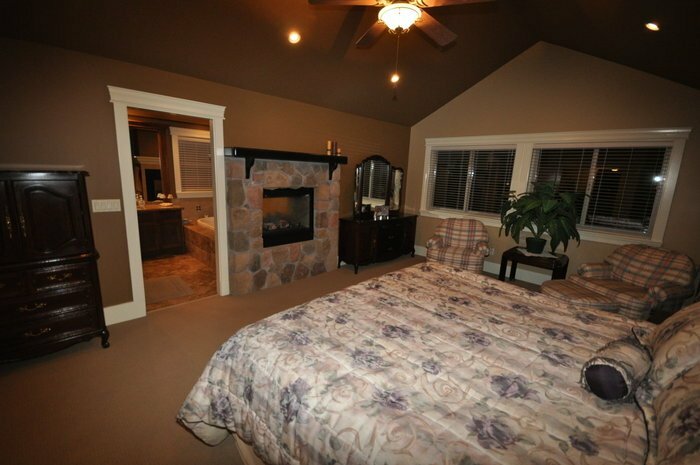 The master suite has vaulted ceilings and an ensuite out of the Street of Dreams with his and her sinks, soaker tub and an oversized steam shower. 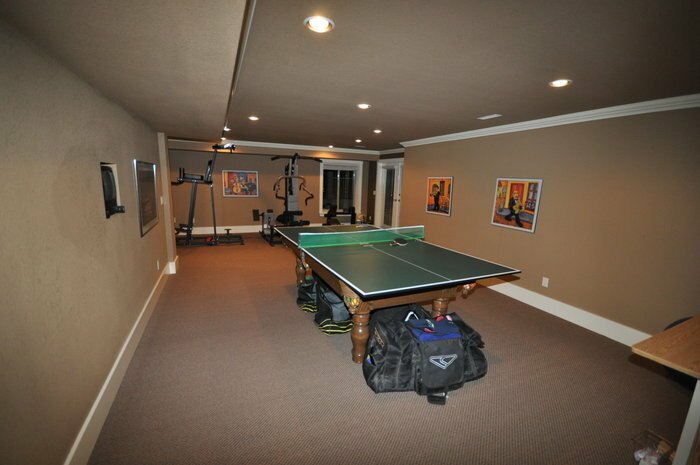 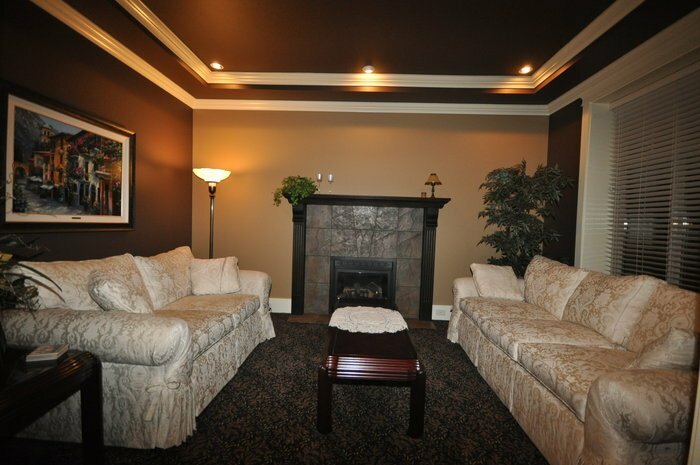 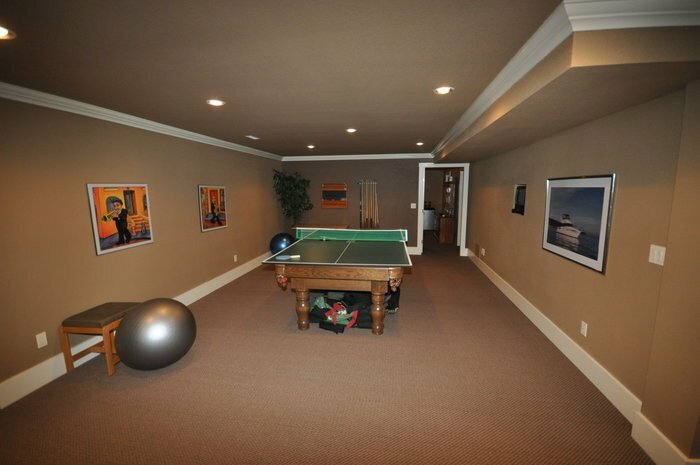 The basement has an outside entry, lots of windows, rec room, games room and wine room. 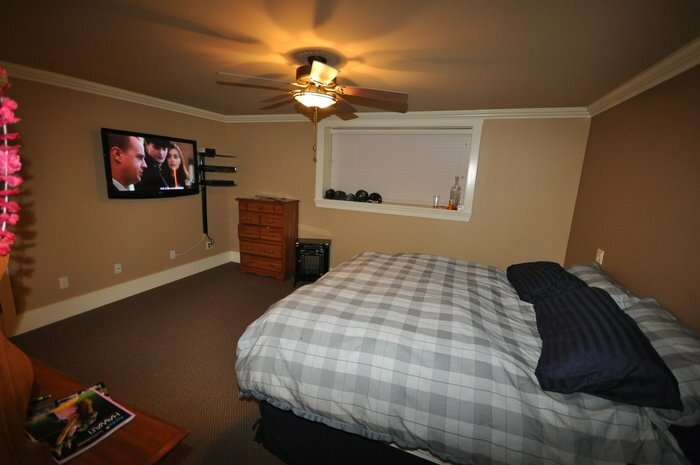 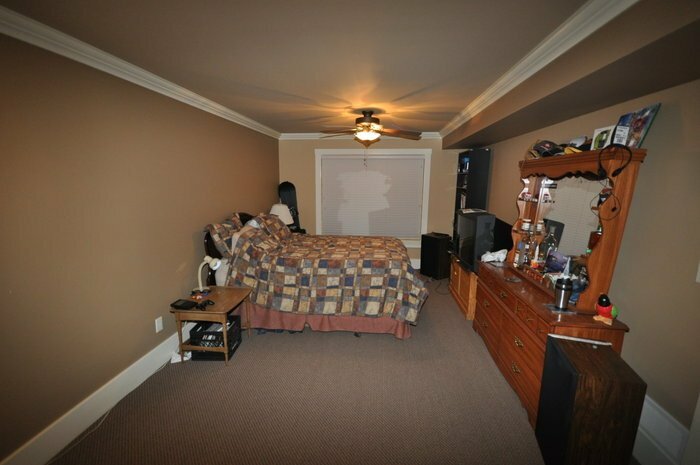 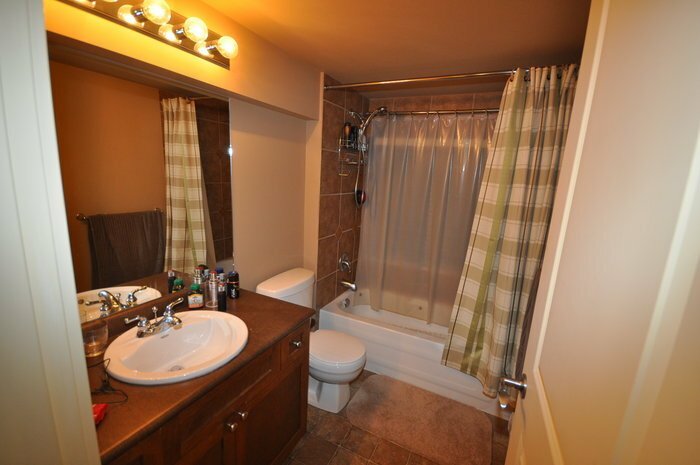 It also has 2 huge bedrooms which are both ensuited and have large walk in closets. 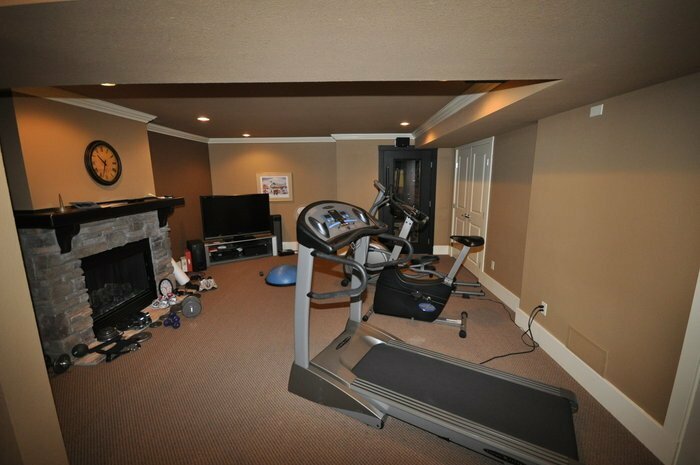 The home has a 96% efficient furnace and is air conditioned. 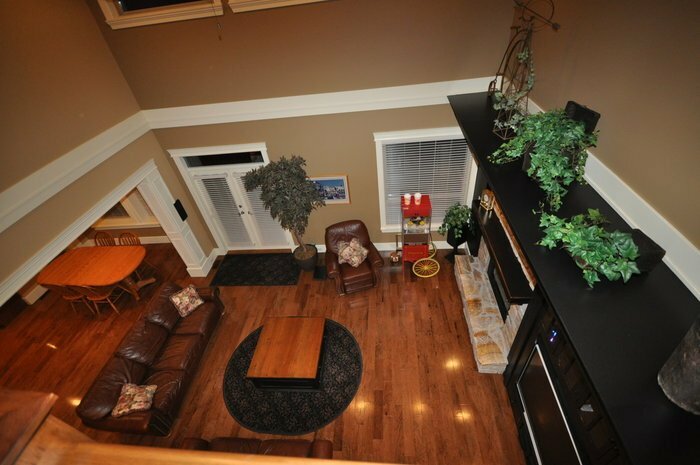 The 14000 sq. 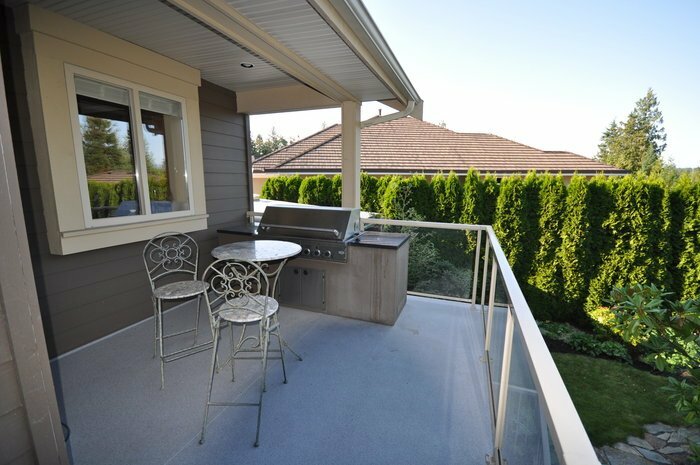 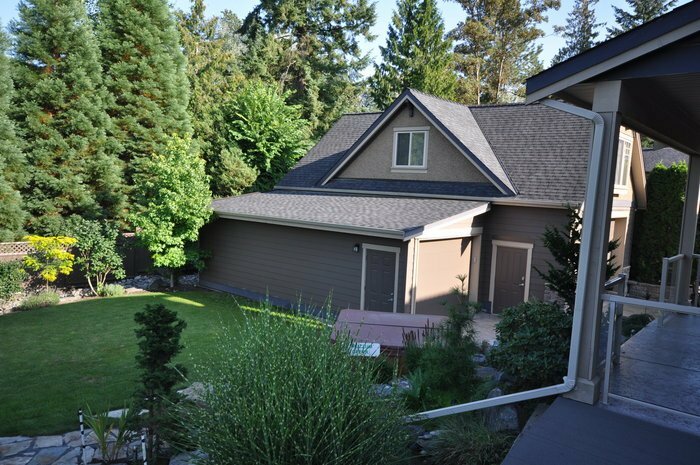 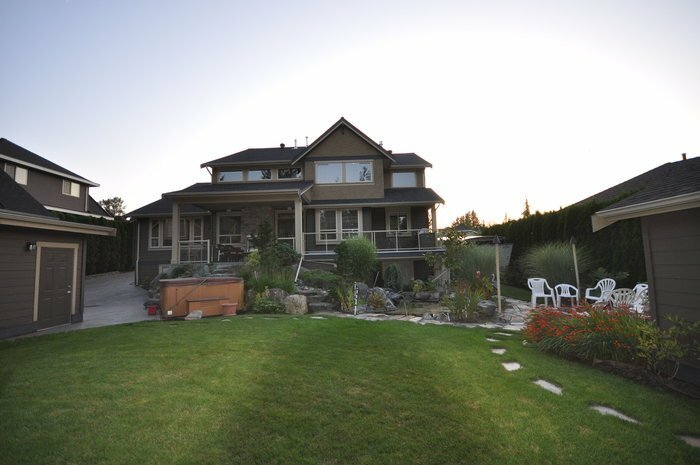 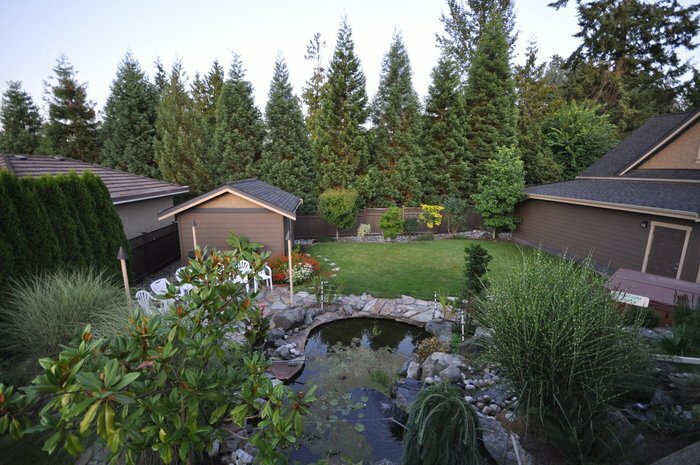 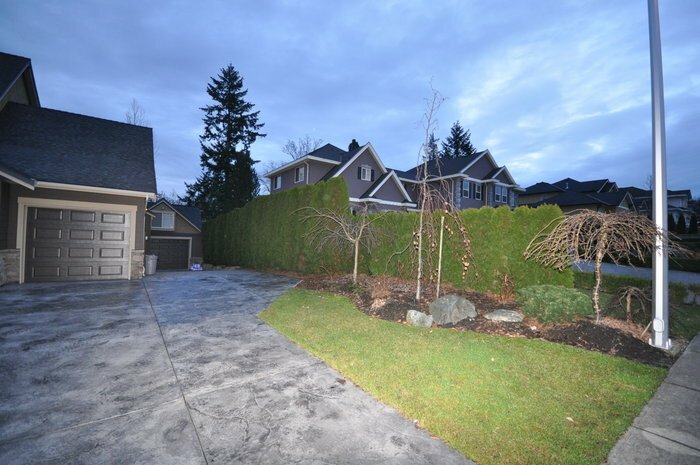 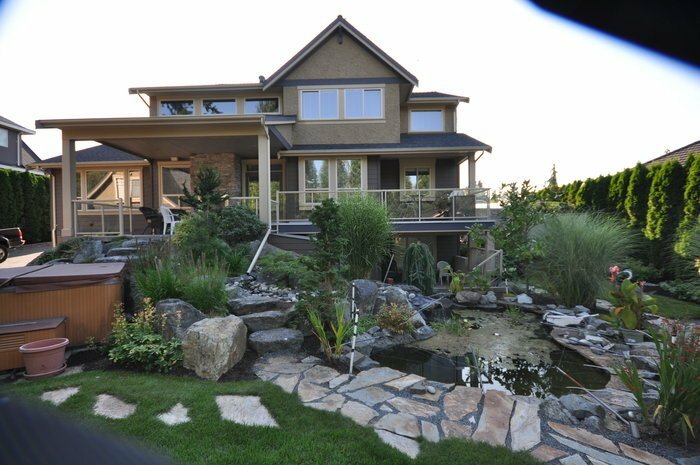 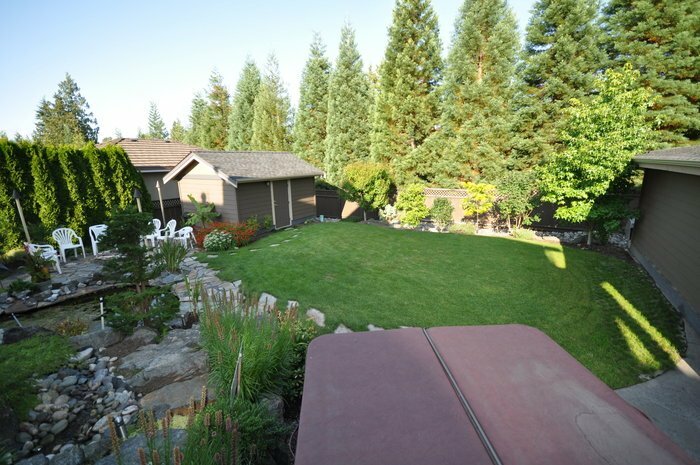 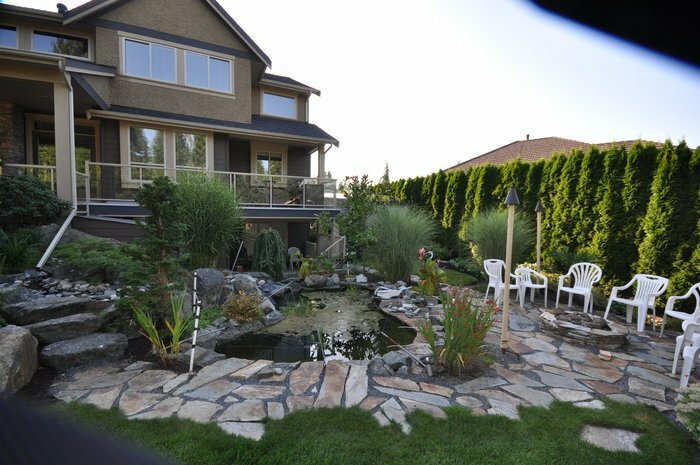 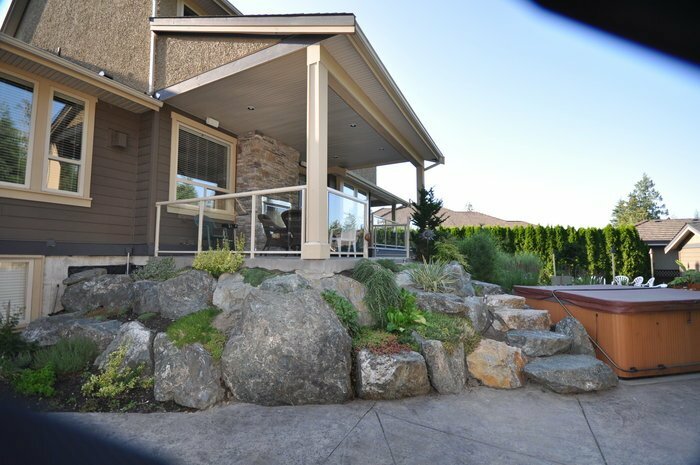 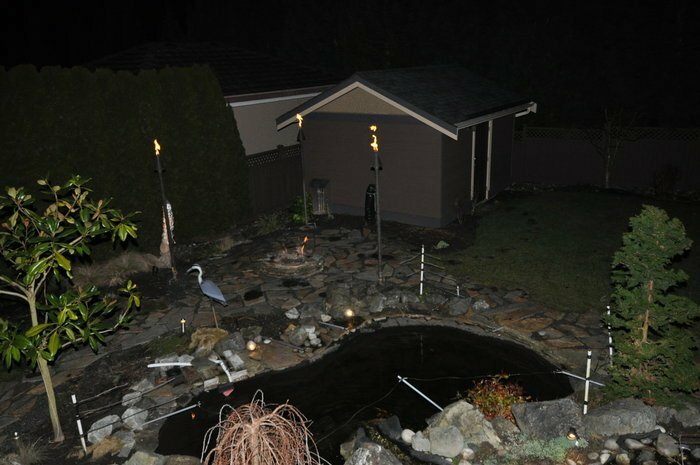 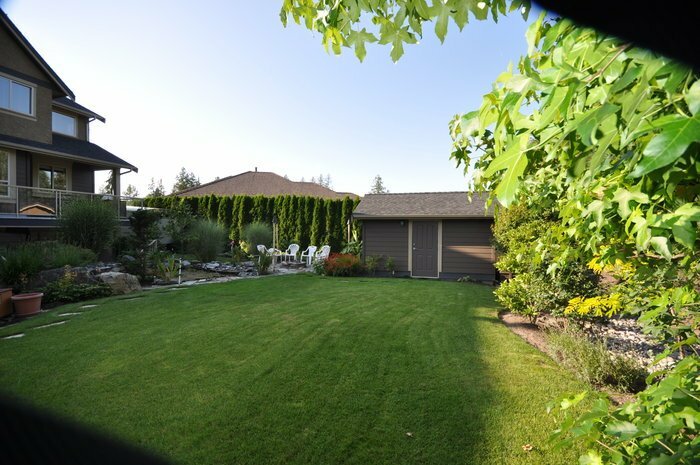 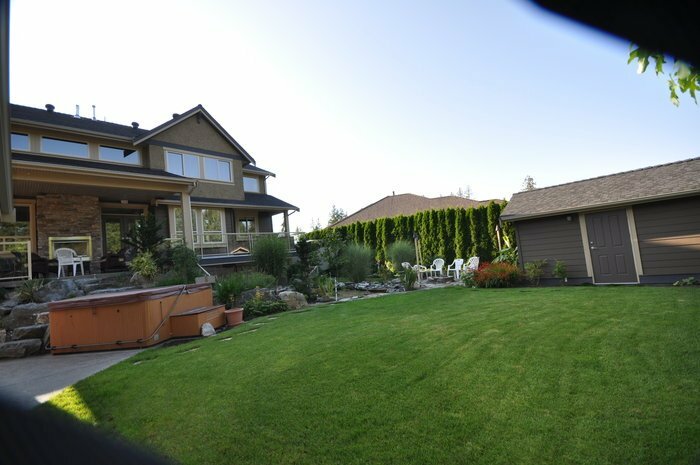 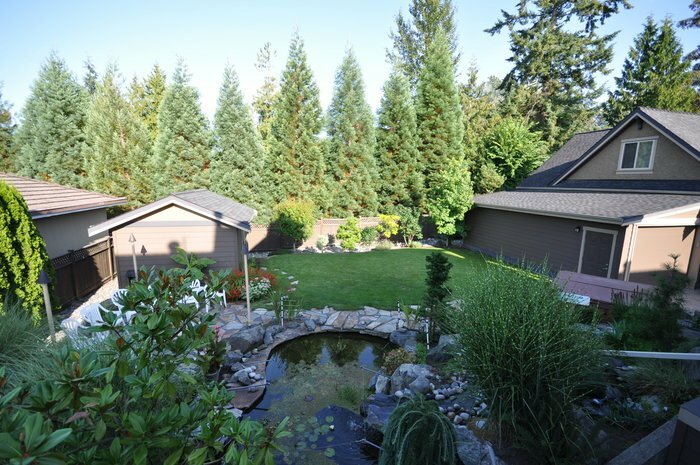 ft. lot has been extensively landscaped for privacy and features a Koi Pond with a river and waterfall. 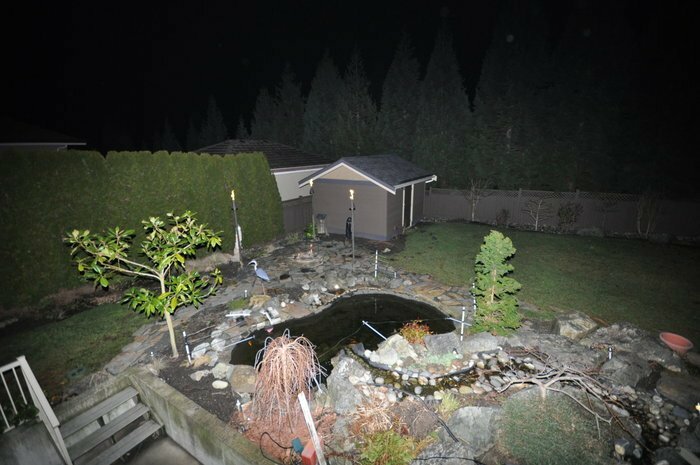 There has been over $60,000 spent on landscaping on the property. 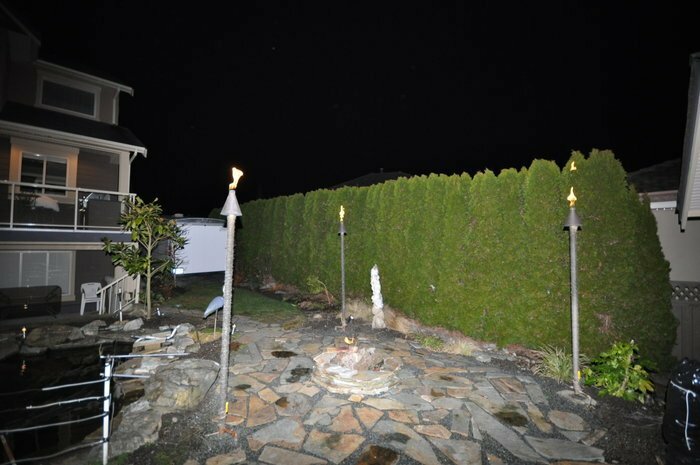 The gas firepit surrounded by Tiki Torches is a must see. 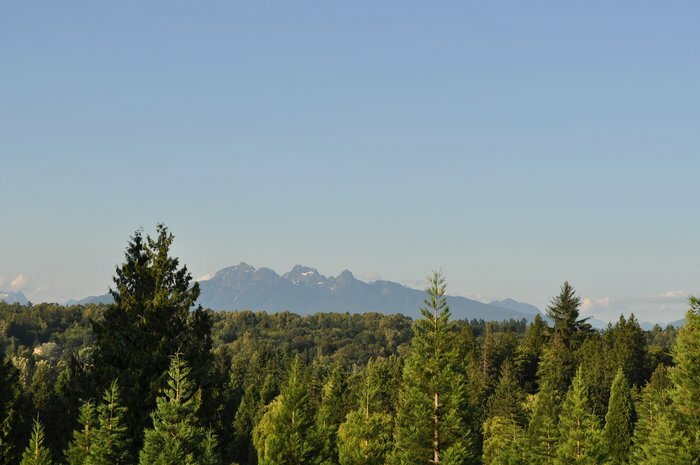 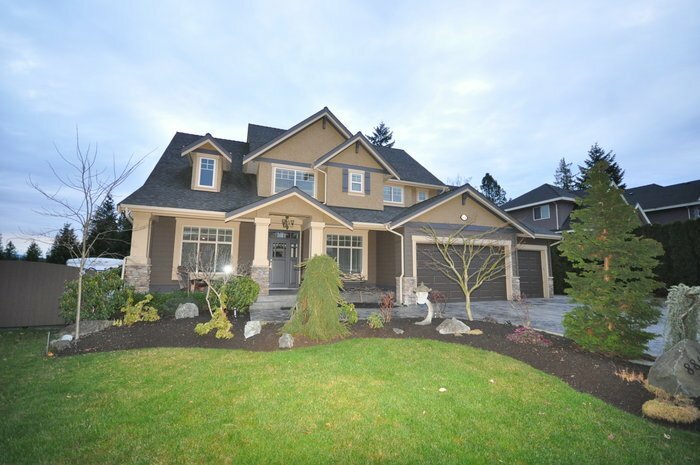 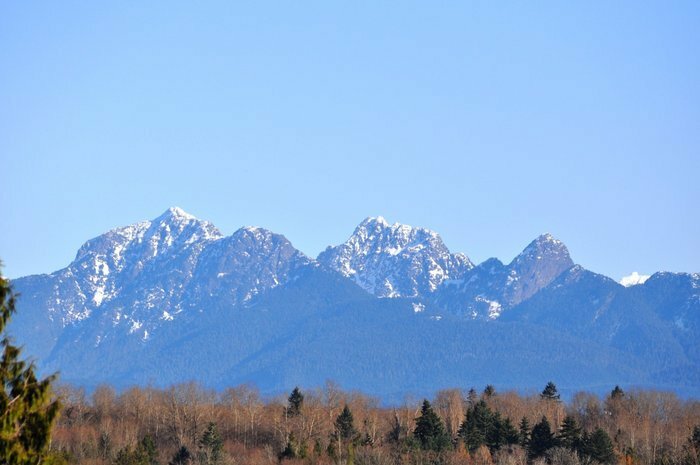 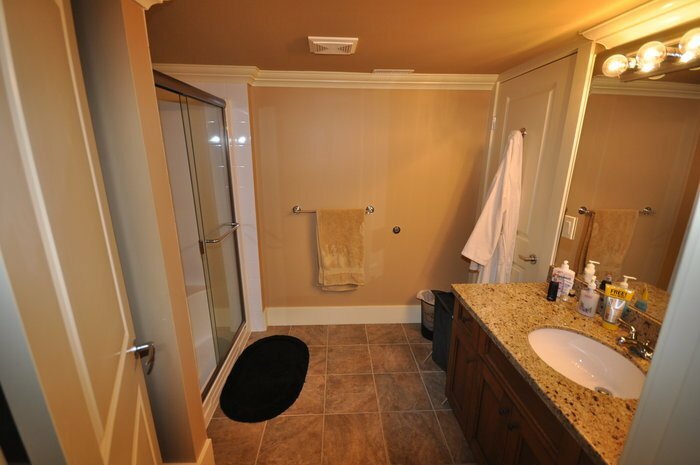 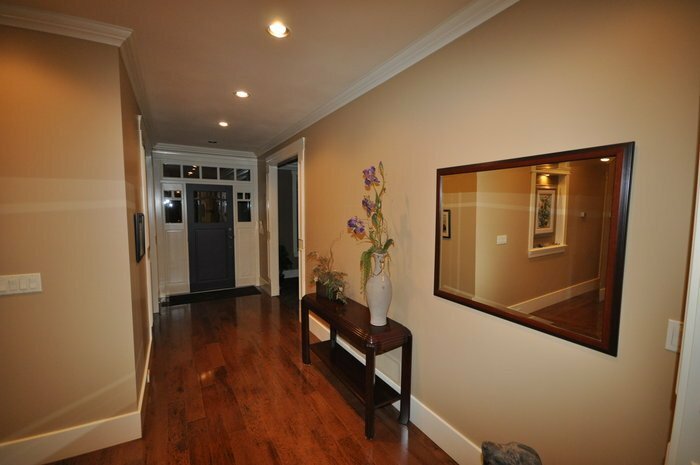 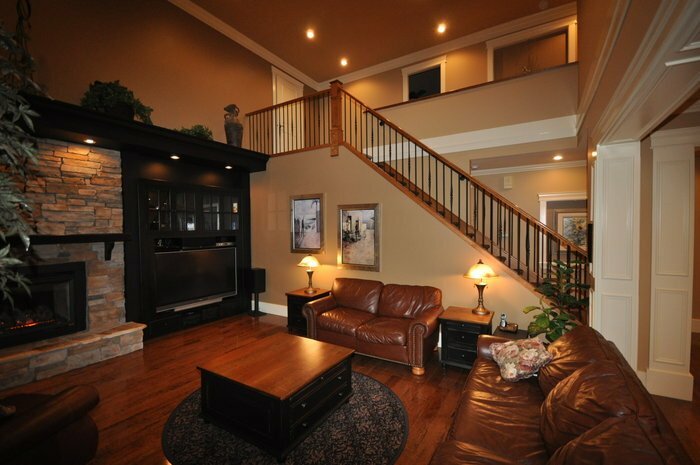 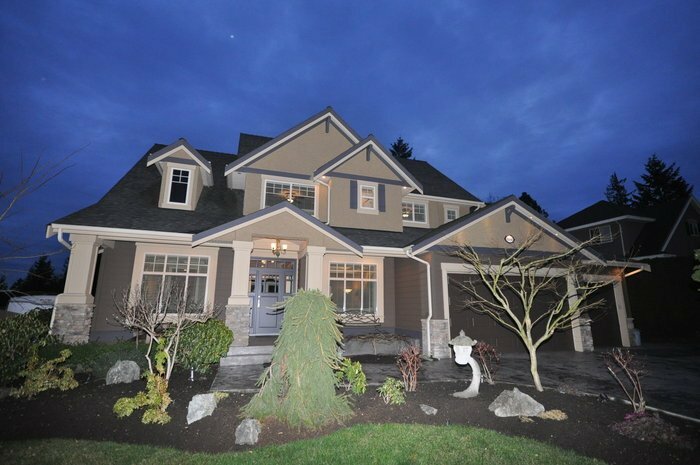 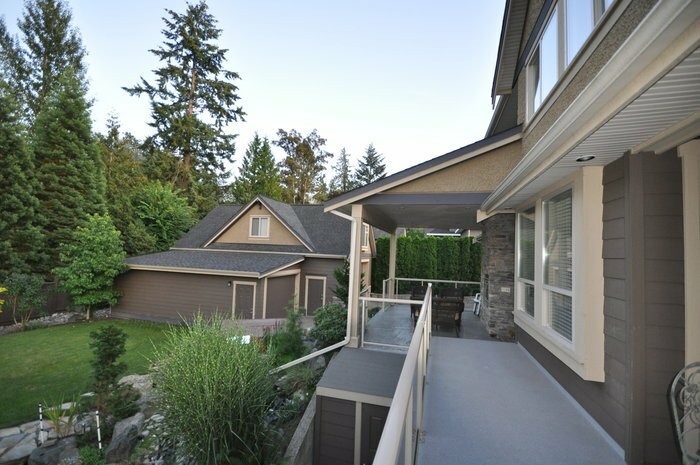 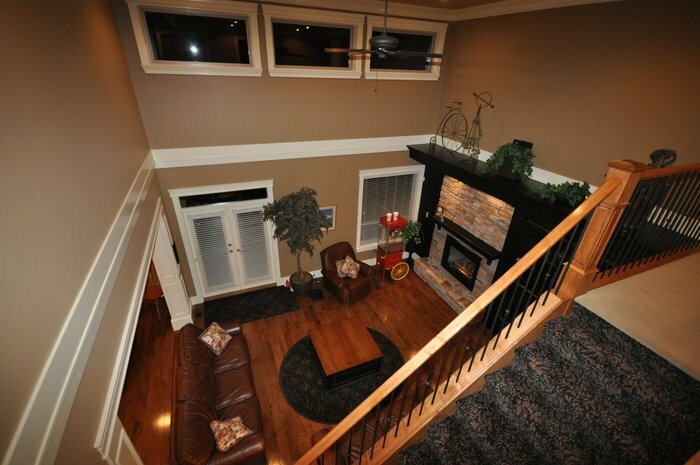 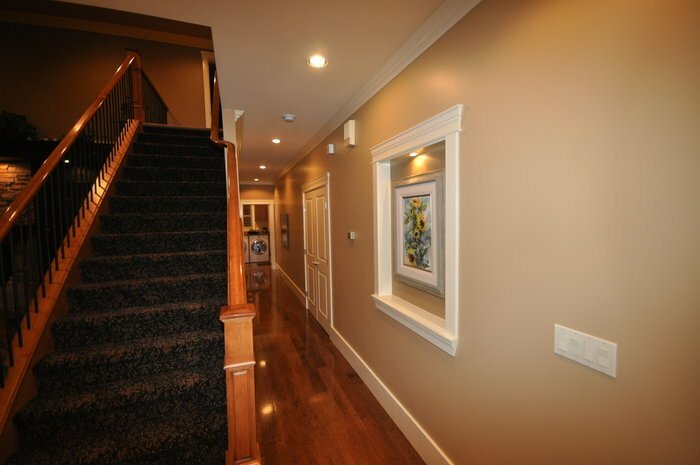 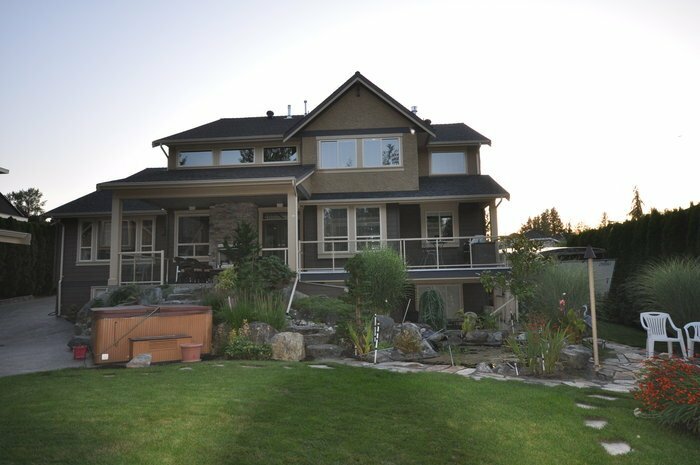 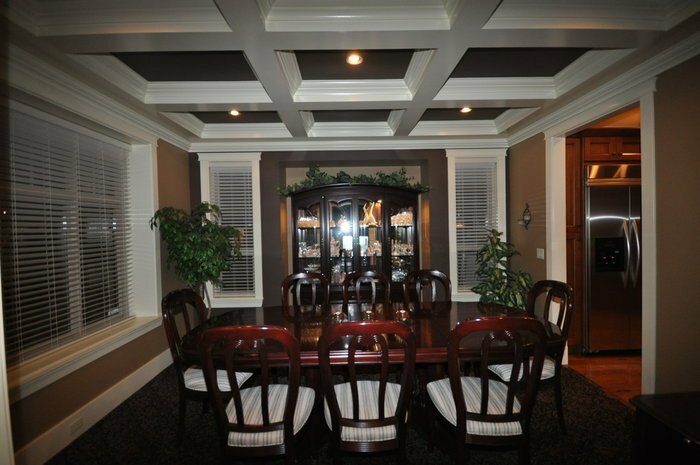 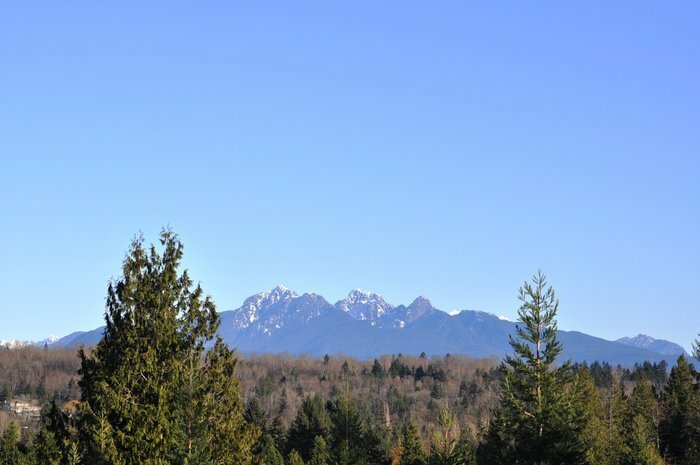 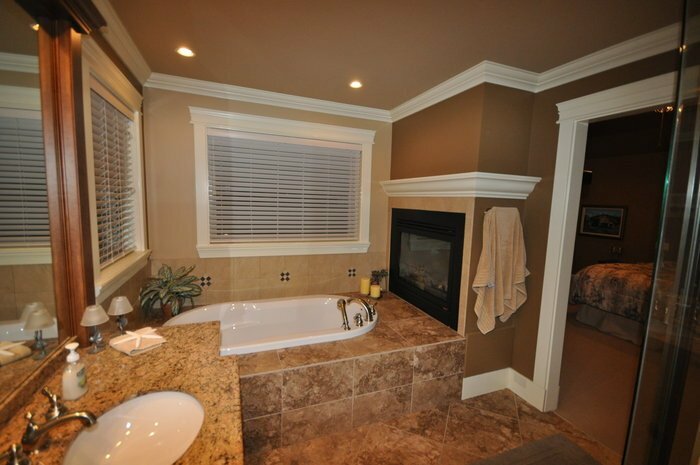 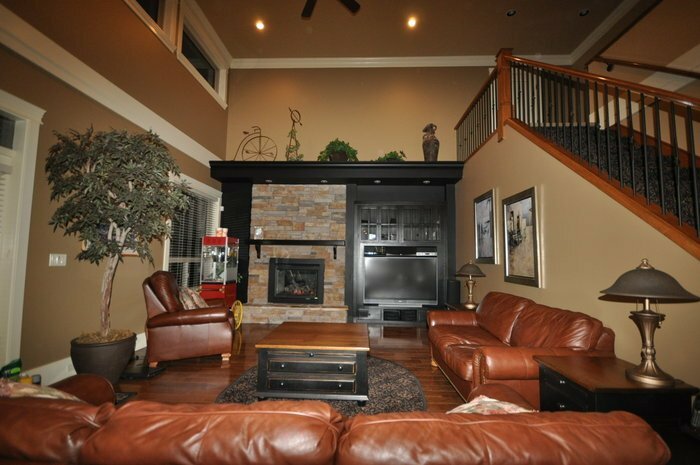 The quality of workmanship and materials used in this home is unsurpassed. 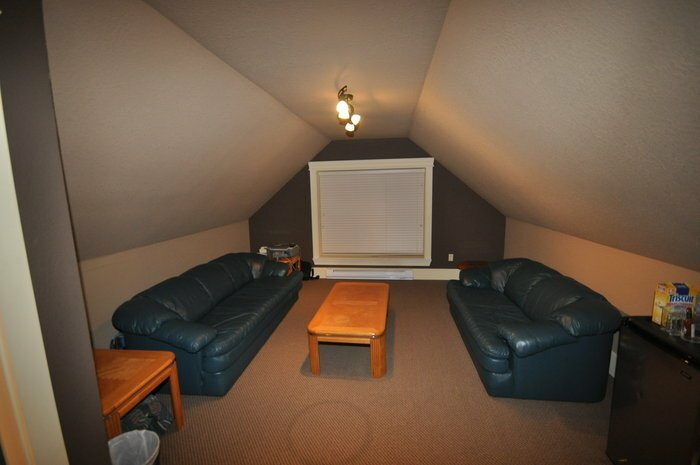 If second best won't do, than this is the home for you.